How is everyone doing so far on their healthy eating quest? We are doing well here. I just finished two straight months of yoga 4 times per week. I didn't miss a single class. I have been eating very well, only wholesome whole organic foods that are well balanced. I have never felt better. It is a great thing to slowly see the changes in your body and to feel the added strength. My wish for all of you is that you can feel the same. One thing I miss right now is hash browns. I know I can eat them. I just also know they are a splurge and not the best for me. 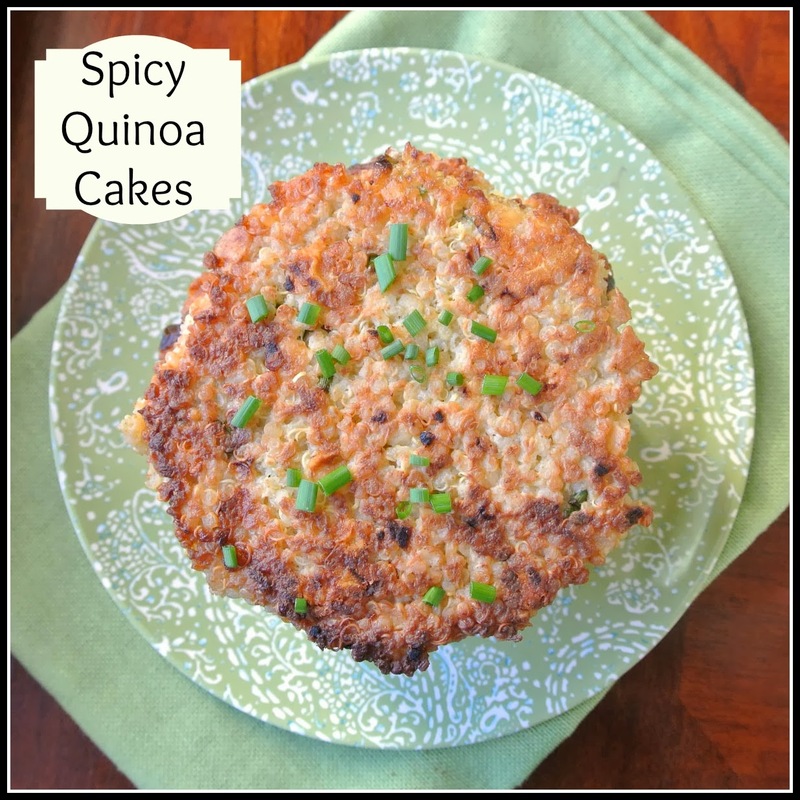 So instead I have been making quinoa cakes to accompany my eggs. My husband loves spice, and I have really become a spice fan myself. Anything that speeds up the metabolism is a win in my book. 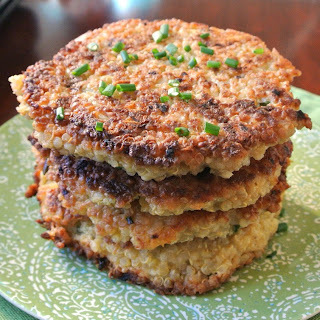 These quinoa cakes are crispy on the outside and tender inside, similar to hashbrowns. The difference... they are packed with protein and are very good for you. Perfect for the new year, new you. These cakes are also good just served plain, in a wrap, or dipped in a greek yogurt dip. Combine the quinoa, eggs, and salt in a medium bowl and mix well. Stir in the chives, onion, cheese, garlic, and pepper. Add the tortilla chips, stir well, and the let the mixture rest for a few minutes. Form the mixture into thick patties. Heat the oil in a large, heavy skillet over medium heat until shimming, swirling to throughly coat the bottom of the pan. Working in batches, gently place patties in the pan, leaving space between for easy flipping. Cover and cook for 5 minutes, until the bottoms are browned. Carefully flip the patties with a spatula and cook the other sides for 4 minutes, or until golden. Remove patties from the skillet and cool on a wire rack while you cook the remaining patties.